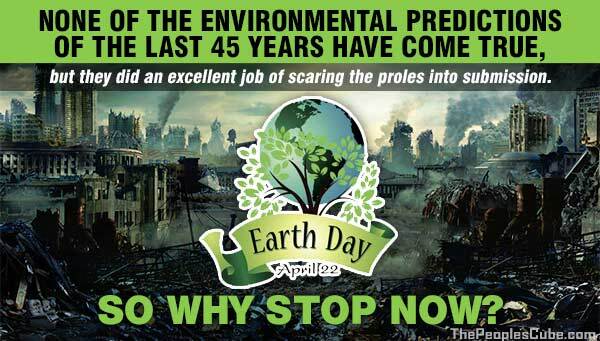 Environmentalists truly believed and predicted that the planet was doomed during the first Earth Day in 1970, unless drastic actions were taken to save it. Humanity never quite got around to that drastic action, but environmentalists still recall the first Earth Day fondly and hold many of the predictions in high regard. Have any of these dire predictions come true? No, but that hasn’t stopped environmentalists from worrying. From predicting the end of civilization to classic worries about peak oil, here are seven green predictions that were just flat out wrong. ← Environmentalists Finally Catching on to the Windscam!